Sur cette page vous pouvez trouver les prochains cours sur la communication graphique. Si vous souhaitez avoir un cours personnalisé pour votre entreprise/organisation ou pour vous-même, n’hésitez pas à demander plus de détails avec le formulaire de contact. Tuesday 10 July and Wednesday 11 July 2018. KaosPilots Swizerland, Wylerringstrasse 36, 3012 Bern, Switzerland. Sketchy Solutions, together with Mona Ebdrup, offers two days of teaching and practise of Visual Literacy. Visual Literacy is based on the notion that pictures, sketches, drawings can be “read” and that meaning can be communicated through a process of seeing. Understanding the building blocks of visual literacy allows one to: make complex information simple to understand, create clarity for self and group, understanding the bigger picture, make notes easier to recall and share. …Visual language:How to break down visual literacy into easy-to-use building blocks, and rediscover working with pens and paper. 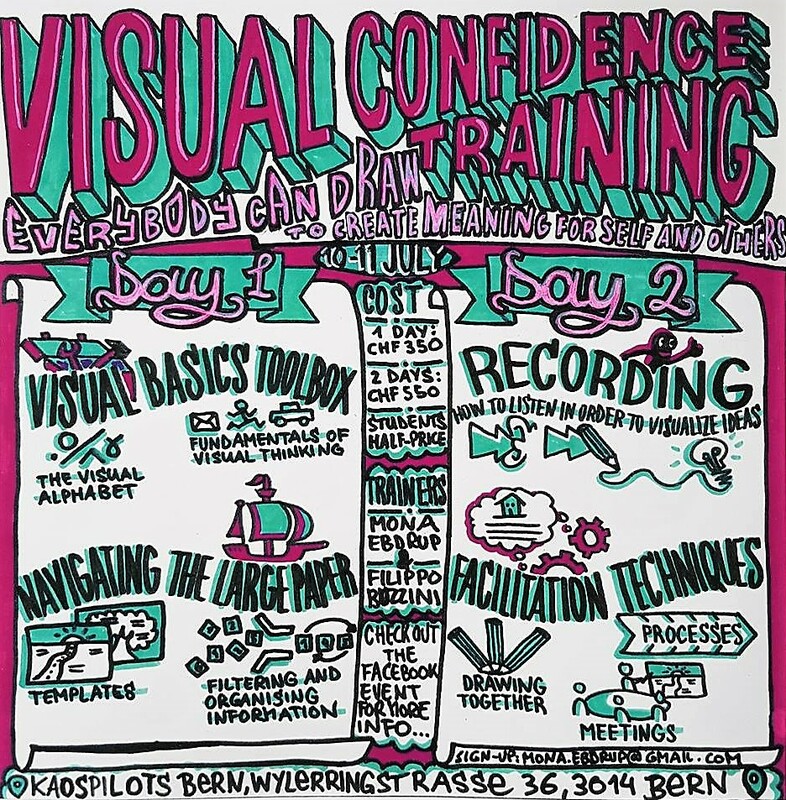 …Graphic Recording:How to make visual notes for yourself, meetings, conferences, etc. On small and big paper. 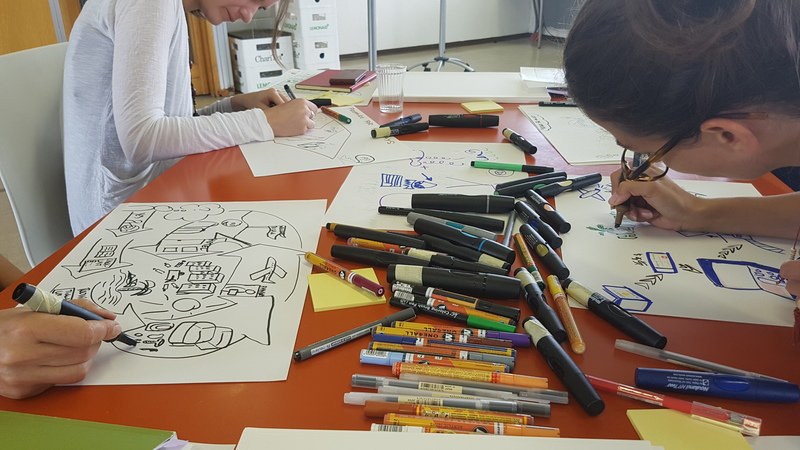 …Graphic Facilitation:How to make visual maps and templates that helpsyou guide and direct a course of action.